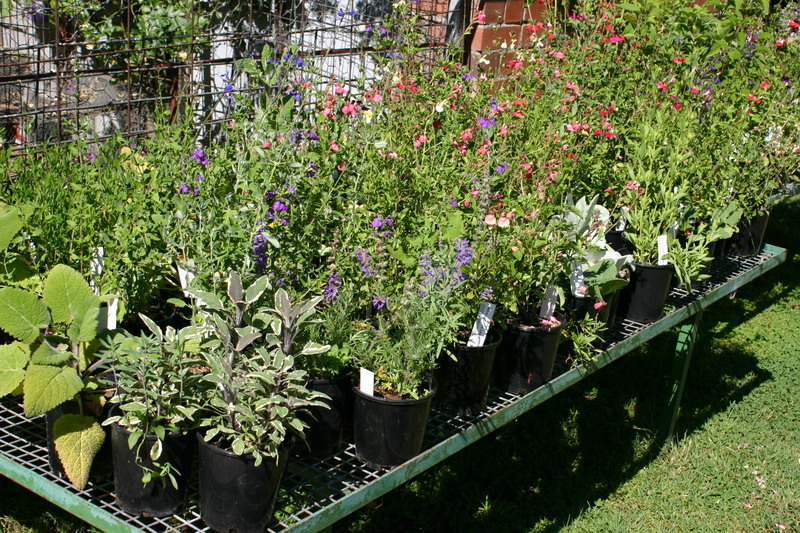 I am a smallish specialist nursery growing in retail quantities. Because there is such a huge range of salvias, that still equates to quite a few plants for one person to manage. I have been mail ordering salvias for more than 20 years and am considered to be as expert as one can be with all the variations and new releases there are. I have had heaps of letters of appreciation but have never got to putting them on the website. I have a lot of repeat clients and am not really desperate for new clients. Appreciative new clients are always welcome, however! My target client is the educated gardener. 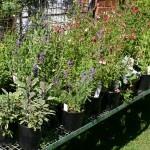 Salvias suitable for beginners are often found in Bunnings! I have an offer of 12 plants OF MY CHOICE for beginners who can’t decide or who want plants guaranteed to survive and flower without much attention. My main selling season is from March to October, so by spring quantities are limited unless I have been able to regrow during winter. I am not keen on holding on to plants because it taxes my memory so much. I would never have imagined that I would still be running a nursery when I am getting close to 80!!! I do not have large greenhouses to keep plants looking beautiful but may not end up well adjusted to the weather. My website is not always as up to date as it could be. I sometimes realise there are plants listed as not available when they are, so occasionally it can be worth asking if you are really wanting a species. I live in Albury on the border of NSW and Victoria so if you want two plants to go to Toowoomba in Queensland it makes the cost of each plant very expensive. I am really not keen on small orders for that reason, the packing and posting takes a similar time for two plants or ten. Australia Post does well delivering quite quickly. I worry when people have to pick the plants up from an agency or don’t have frequent delivery service. It is good to mention any possible problems when ordering. I grow the plants in a square 105mm pot. This is usually sufficient when they are sold fairly quickly. Some of the larger growers tend to grow quickly so I sometimes don’t have a lot of them. I don’t have a lot of time for pruning back as would be ideal. Most plants have a printed tag which I think is better for the gardener than a paper label stuck on a pot. Newer releases may be written. I do not sell seed. Names of seed from small growers could be unreliable.